NYPC (formerly New Young Pony Club) are an English electronic music band from London, formed in 2004. The band has consisted of members from London, Hereford, and Cambridge. Their influences are predominantly post-punk and new wave artists. 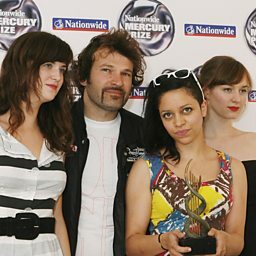 New Young Pony Club are influenced by many different bands and acts, and try not to risk becoming too close to the sound of any one other band. Their own take on their music is "We marry the dance ethic with the pop ethic, and make something that you can dance to and sing along to".